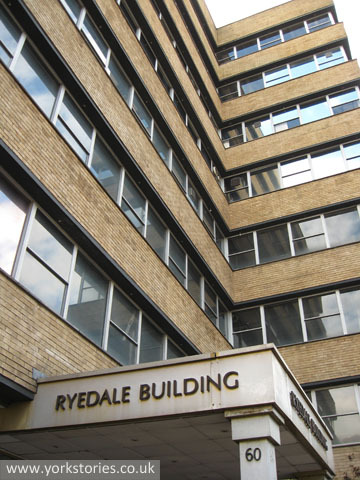 Moving on from a 1960s office block on St Saviour’s Place to a 1970s office block on Piccadilly. 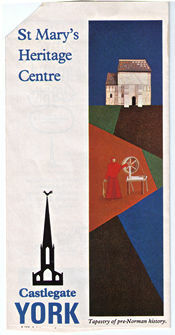 Both usually appear on any list of ‘eyesores’. From YouTube, 1970s (probably 1978) York floods, showing Marygate, Tanner’s Moat etc, under flood water. 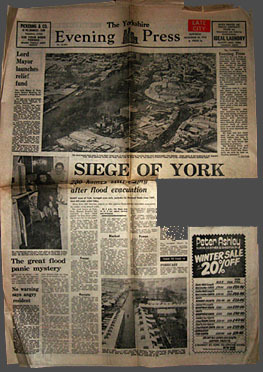 Also front page report of the floods of 1978, Yorkshire Evening Press, under the headline SIEGE OF YORK. It reported homes being evacuated in the worst floods since 1947. 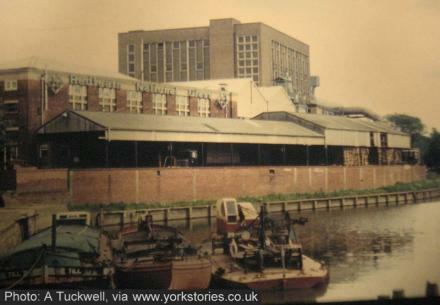 (Photo: Andy Tuckwell) The factory alongside the Foss, pictured here in 1977, closed in 1984.